I was sitting in my Jeep that was parked at the curb next to the Southwest terminal at the Philly airport. I was wearing yoga pants, a huge sweatshirt, and glasses... and I was sobbing. I had just shipped off my husband (then fiance) to spend Christmas with his family. Sure, goodbye's are sad but I'm not one to get too emotional over them... no, I was crying because I should have been making the trip with him. Our plan for the past several months was for us to go together and spend Christmas somewhere warm and tropical. But we couldn't afford to buy two tickets -- actually, we couldn't afford to buy even one ticket, so his parents bought his direct flight to West Palm Beach and I stayed home because I felt like I needed to work on my business and try to make some money while he was away. This was a pivotal moment in my life. It was the moment I made a fierce decision to never struggle again financially. It was the moment that I made a pact with God... "Help me finally make money in my business and I will promise to do everything I can to help others", I cried. It wasn't a hard pact to make, really, because the way I saw it was there was no other option... I wasn't ok with living a mediocre life for one second longer. It was the best decision I've ever made. 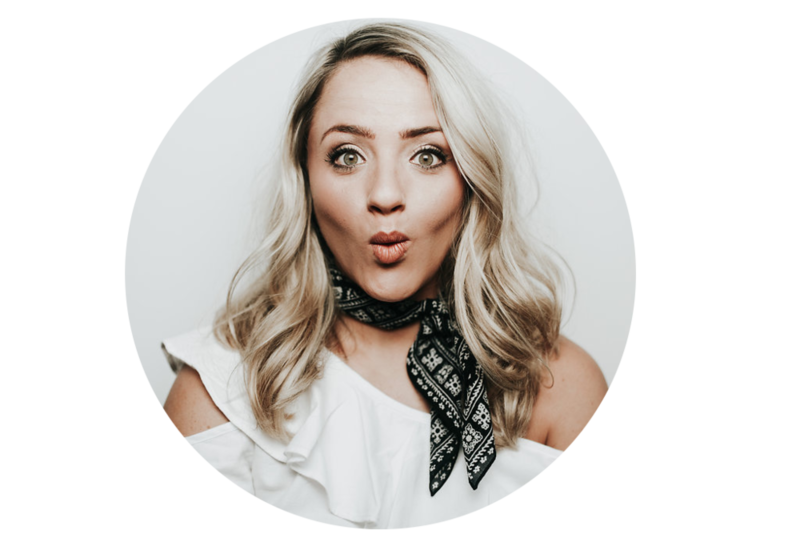 The next month I made my first $10,000 in my coaching business and everything changed forever. There's something incredibly powerful when a woman makes a fierce decision... I'm pretty sure tectonic plates shift + somewhere a unicorn gets it's wings. Seriously, do you even realize how powerful it is? Over the past 365 days of my life I have made one fierce decision after another and I have been able to go from struggling to pay for my rent to growing a 6-figure business, traveling to dream places like Sydney, Paris, Tuscany, and I've been able to retire my husband from his job. I've noticed some crucial things that have played a part in allowing me to literally create my dream life before my eyes, and I want to share them with you now. 1. Make a Fierce Decision - It all starts with a decision, and really, nothing can happen until you've made a decision to REALLY go for it. I'm not talking about a weak hope and prayer that you'll finally make money, get a promotion, find a man, start your blog, film a Periscope etc. -- no, I'm talking about a fierce promise to yourself that no matter what happens, obstacles, fears or roadblocks... you will do whatever it takes to push forward and achieve what you set out to accomplish. Make it a non-negotiable and don't back down. 2. Work Towards Goals in Increments - It's easy to get caught up in big daydreams and visions of the future, but what I have found to be incredibly helpful in achieving success is to work in smaller, broken down increments towards your big goal. My big goal was always to hit 6-figures in 2015, but I didn't set out on January 1st to make 6-figures... I started with $5k per month, then $10k, then $30k per month... you see where I'm going with this? I would create these goals that weren't too outlandish but so that they would also challenge me. Every 90 days I would assess my progress and course correct as needed. 3. Stay Present - This one goes hand-in-hand with #2, and it's worth going over in greater detail because I know how easy it is to get caught up in the future and forget about the here and now. If you want to create real change + quantum leap in 2016, then focus on where you are now, not where you think you will be in 6 months from now. By focusing on the now you will be able to me more aligned with your desires, with inspired action + you will get to where you want to be much faster. 4. Understand that Fears Aren't Real - Every entrepreneur has fears, but it's what you allow them to do to you is what matters. Fears are just False Evidence Appearing Real, and what I learned in 2015 is that I can literally flip a switch and turn my fears into excitement and motivation. As entrepreneurs, we are all going to have fears... fears about the unknown and the what-if's, but it's our job to get over ourselves and realize that if we succumb to our fears we will be able to serve no one. The world needs what you have -- you don't have time to let your fears run the show. I always say: "feel the fear and do it anyway". 5. Get a Coach or Mentor - Hands down, one of the best things you can do for your life and business is get support from a coach or mentor who has gone before you. I would not be where I am today without a coach who has helped me stop playing a guessing game and actually achieve what I said I would. If you're trying to be a DIY entrepreneur, you can bet on working harder, success taking longer to arrive, and being more frustrated than you need to be. If you do ONE thing for yourself in 2016, get a coach. 6. Read Wealth Consciousness + Self-Development Books - Knowledge is power, and that's why I read constantly. Not only that, reading has allowed me to expand my consciousness to new levels, exercise my faith muscles and learn from people who know much more than I do about creating wealth, busting through personal blocks and so much more. Some of my favorite books are: Think & Grow Rich, The Science of Getting Rich, The Big Leap, Leveraging the Universe and How to Win Friends and Influence People. 7. Stop Making Excuses - There are a million opportunities in a day to make excuses for why now isn't the right time to invest, or why something can be done later, or why you don't really have to follow through on what you said you would... but those kinds of excuses will keep you out of the game, broke, and miserable for as long as you let them. When I stopped making excuses and took 100% personal responsibility for my life, I put myself in the driver seat and quickly saw shifts happen. I started making more money, had more opportunities and felt overall much happier when I went cold turkey on letting excuses infiltrate my mind and conversations. 8. Action Brings Clarity - The more action you take, the more clarity you will have -- it's not the other way around. If you're asking questions like, "What should I do next?" or "Is this the right decision?" you will almost never know for sure until you've taken action. The difference between entrepreneurs who are successful and the ones who struggle is action. Successful entrepreneurs take fierce action over and over again, and they are ok with learning from their mistakes. When you take action, you bring yourself closer and closer to your desired reality. 9. Surround Yourself with Big Players - Proximity is power! One huge way to really shift your reality and cultivate a powerful ability to manifest is by surrounding yourself with other people who are doing what you want to do. Surrounding myself with big players in the world who were really going for their dreams not only inspired me to do the same, but it showed me what was really possible. I can't really express how crucial it has been for me in my journey to have high-vibe people with high standards surrounding me. These types of people are conscious of their language and they know that anything is possible... definitely the kinds of people you want to be around, right?! 10. Listen to Your Gut - Lastly, if you want to really manifest the life of your dreams in 2016, you have to listen to your gut (intuition). I hold the belief that so many of the answers we need are already within us... and if we just ask, listen AND ACT, we will be guided to what is meant for us. My gut always told me that I should invest big, take risks and really go for my dreams in an unapologetic way, and even though it was scary at times, my intuition has never failed me. I have never regretted following my gut. You are meant for big things! Now go create your dream life in 2016... it's waiting for you now.